Blood pressure is the force of blood pushing against the walls of arteries (blood vessels). Each time the heart beats, it pumps blood through blood vessels, supplying the body's muscles, organs and tissues with the oxygen and nutrients that they need to function. When your doctor takes your blood pressure or perhaps when you do it yourself at the local pharmacy, there are two numbers of importance: the systolic and diastolic numbers (also referred to as the top and bottom numbers). The top number, systolic blood pressure, measures the maximum pressure exerted as the heart pumps blood outward, while the lower number indicates diastolic pressure, a measurement taken between beats, when the heart is at rest. The World Health Organization suggests that ideal blood pressure sits at 115/75 mmHg. 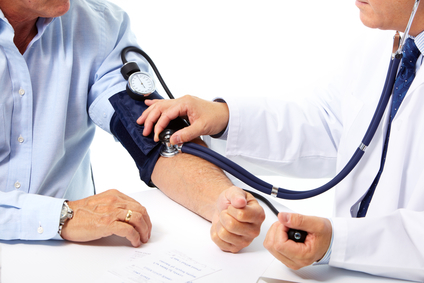 Approximately two-thirds of people over the age of 65 have high blood pressure. Of all people with high blood pressure, 61.4 percent are under current treatment, 35.1 percent have it under control, and 64.9 percent do not have it controlled. Hypertension, or a blood pressure that exceeds normal for any prolonged period of time—roughly anything more than 130 over 90—must always be evaluated by a healthcare professional. Extremely high blood pressure or rapidly worsening hypertension almost always requires treatment with conventional medicine. People with mild to moderate high blood pressure should work with a professional before attempting to use natural health products.